Hill Wallack LLP is pleased to announce the arrival of Albertina “Abby” Webb as a partner to the firm’s new Red Bank, N.J. office. Abby will continue her focus on litigation and family law matters with the family law department. Abby concentrates on most family law issues, including divorce, custody, preparation and enforcement of prenuptial agreements, pre- and post-judgment issues and domestic violence matters – all from inception through resolution, either by mediation, arbitration or trial. Abby is also licensed to practice in New York, where she focuses her practice on family law matters and general litigation. Born and raised in Brooklyn, Abby is a graduate of New York Law School. She received her Bachelors of Science degree from John Jay College of Criminal Justice. 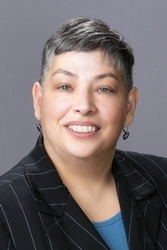 She is the Vice President of the Southern Region for the Hispanic Bar Association of New Jersey, a member of the family law committee for the New Jersey Association for Justice and serves on the New Jersey Statewide Domestic Violence Working Group Committee. Abby, a distinguished family law attorney, has been honored by her peers and colleagues by being included as a New Jersey Super Lawyer. A recent editor of New Jersey Lawyer magazine, she is also a member of the New Jersey Family Law magazine. Abby is also actively involved with the Family Law Executive Committee for the New Jersey State Bar Association, where she has been fortunate to be invited to volunteer her talents for the past few years.